Your backyard is where your dog is free to run around and soak up the sun, but it’s your job to make sure that happy place doesn’t end up being a dangerous place. You’ll need to look at your yard with a critical eye to spot the things that might get a curious sniffer or mischievous mind into trouble. Most of the things on this list are everyday items you probably have in your yard right now. They’re safe when stored properly, but they also pose specific risks to dogs. To keep your pup safe, first learn the facts about what’s hazardous so you can better protect your pooch. Here are a few common yard items that could end up being deadly to dogs. No one wants to deal with an invasion of ants, bees, ticks or other kinds of creepy crawlies in the yard, and pesticides usually work wonders to clear out those unwanted guests. The problem is, there are few pesticide products that are 100% safe for pets. When you treat your yard with pesticides and let your dog outside, those chemicals stick to their fur and paw pads. If they lick themselves, they let all that bad stuff into their body. 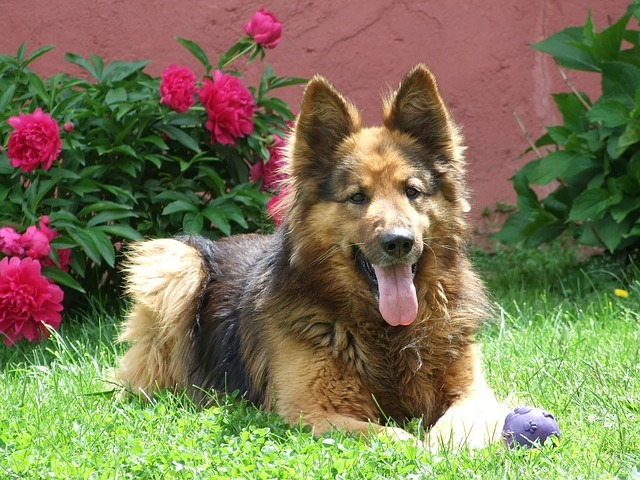 Long-term exposure can also increase a dog’s risk of developing bladder cancer. The best way to protect your dog while keeping your lawn bug-free is to limit the amount of time your dog spends outside for at least 48 hours after you treat your lawn. You’ll also need to make sure you don’t leave the bottles and cans of pesticide lying around where your dog can find them. Your flower garden might be your pride and joy (second to your dog, of course), but “pretty” can often translate to “poisonous to dogs.” There’s a long list of flowers that can cause serious health issues when ingested by dogs. Sometimes the side effects are relatively minor, like a brief bout of loose stool, but the more toxic plants can lead to things like respiratory distress and kidney failure. A mistake many dog owners make is assuming their dog won’t bother their flowers. It’s not like you’re growing cheeseburgers, right? Your dog might not be initially interested in snacking on your plants, but many pets get curious. They explore the world with their noses and tongues, and they also like the feeling of digging and ripping things out of the ground. If they’re extra interested, it’s in their nature to take a bite and swallow. 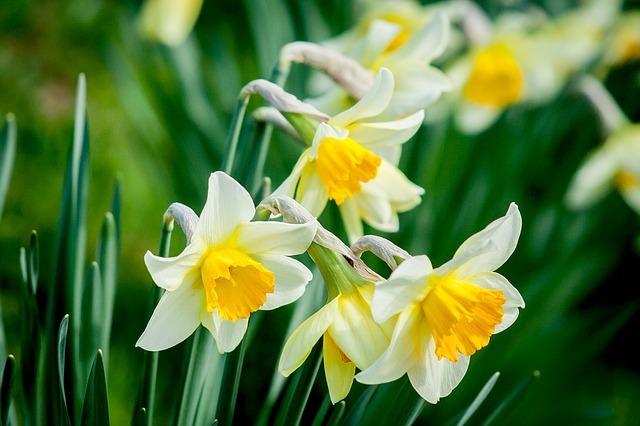 Lilies, daffodils, hydrangeas, azaleas, and oleander make up a small portion of the list of flowers that are toxic to dogs. If you insist on having them around, make sure they’re in an area where your dog can’t get to them. You can view a full list of plants that are known to be toxic to dogs at ASPCA.org. Most people install fencing for the specific purpose of keeping their dog safe, but it doesn’t always work out as expected. The best kind of fence is one that is tall enough that your pup can’t jump over, sunk into the ground so they can’t dig under, and the slats have to be close enough together so there are no major gaps. If your prey-driven dog sees the neighbor’s cat lurking nearby, they’ll throw caution to the wind and do everything they can to find vulnerabilities in the fence. Wiggling their way under or squeezing their head through a gap could end up causing them serious injury. Wooden fences with the potential for splintering are also dangerous. The easy fix to this problem is to keep up with fence maintenance. If you need to, it’s also a good idea to replace an old fence with something better and safer. As a general rule, dogs shouldn’t have access to anything with a pointy edge. In your backyard, that includes hedge clippers, shears, and shovels. The problem with these tools is that your dog could run into them or trip over them while they’re running around with a case of the zoomies. Heavy chewers could also get curious and decide to put the pointy end in their mouths. If you have a dog that likes to steal things and play their favorite game of keep-away, there’s an even bigger risk of something bad happening. Avoid a trip to the emergency vet by remembering to clean up your tools after using them. Keep them in a secure shed or put them in a place where puppy can’t reach. Theobromine is the ingredient that makes chocolate toxic to dogs, and it’s also why dogs shouldn’t be allowed access to cocoa mulch. This popular type of mulch has theobromine in it, and if ingested, it’s enough to send a dog to the emergency vet. Gardeners and landscapers love cocoa mulch for its pleasant smell, ability to retain moisture, and the fact it never fades. Spreading it in a flower bed adds instant curb appeal, but it shouldn’t be a dog owners first choice for outdoor improvement. Before you buy your mulch, do your research to make sure there is no theobromine in the mix. A dog and a stick seems like a naturally good combination but not when your pup likes to swallow what they chew. Swallowing part of a chewed up stick is a major choking hazard that can block your dog’s airway and send them into panic mode. 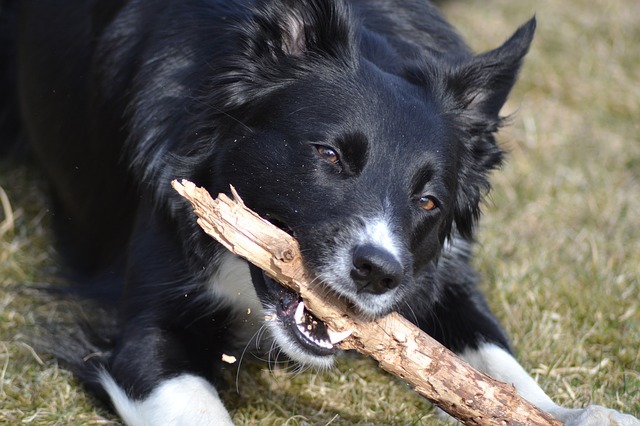 Sticks can also splinter and leave pointy shards of wood in the dog’s mouth, esophagus, stomach, and intestines. Make an effort to keep up with lawn maintenance and clean up the tree debris on a regular basis. People who live in wooded areas might find it impossible to keep up with the barrage of falling sticks, and if that’s the case, your chew-happy dog shouldn’t be left unsupervised outside. Chewing and chasing sticks is all fun and games until the dog inhales a chunk of wood and chokes. There are plenty of other toys they can chew and chase safely. Most backyards have some sort of furniture, and not every chair or table is a threat to your dog’s safety. You should only be concerned if you have the type of patio furniture that can be easily knocked over or broken. Light-weight tables can tip over when your big dog puts their paws up looking for a bite of your burger. Tables can also blow over in the wind and land on sleeping puppers. Glass tables are especially risky because of the potential for shattering. Your yard is where your dog likes to run, jump, and roughhouse, and you shouldn’t be surprised if your patio furniture becomes part of their play area. When buying patio furniture, go for the sturdy stuff that your dog can’t knock over or break. If you can’t move these items out of your dog’s play area, the best you can do is watch them while they’re out exploring their territory. You should have a good idea based on your dog’s personality how much trouble they’re capable of getting into, but every dog can end up surprising you. If there’s something new in the yard, they’ll want to investigate, and even old things can randomly seem interesting. Never leave your dog alone outside for extended amounts of time to make sure their backyard is a safe place to have fun.